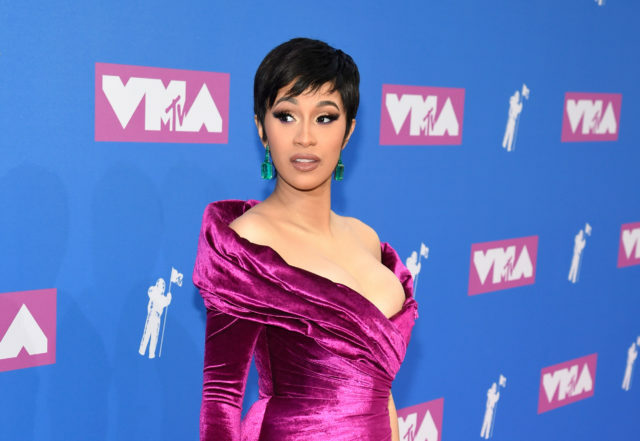 Rapper Cardi B, who has been candid about how much her body has changed since giving birth to a daughter, has asked fans for suggestions on how to get the pregnancy line across her stomach to vanish. Cardi took to Instagram to show show off her toned stomach area just three months after welcoming her daughter Kulture Kiari with husband Offset. The 26-year-old Bodak Yellow rapper revealed she still has some things she would like to work on, reported people.com. "Ladies how do you guys get rid of the black line in the middle of your stomach after giving birth?," Cardi wrote along with a photo of herself in a black tracksuit, which bared her toned abs. In the image, a dark line can be seen both above and below her belly button. According to American Pregnancy Association, the line is called the pregnancy line and is usually caused by the changing hormones or the imbalance of hormones. The line is quite common and usually fades away on its own shortly after the baby is born, people.com reported.